I recently went to Russia for the first time. 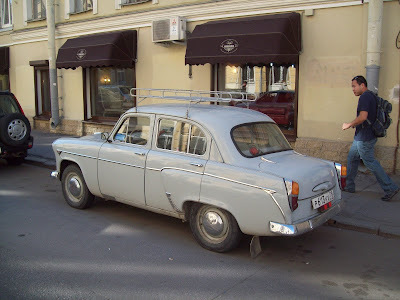 I never dreamed I would be able to visit but fortunes aligned so with visa in hand I landed in St. Petersburg anxious to start 10 days of car-spotting and sightseeing. Now we are in Moscow. We stayed in the NE quadrant of the city near one of the concentric ring roads. 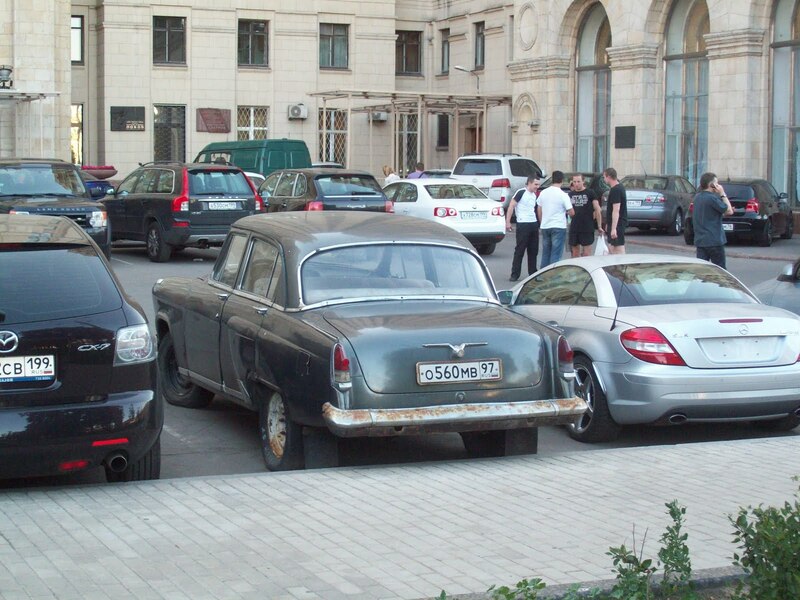 This upper-middle class neighbourhood had some good cars but tough to beat this picture of 3 soviet era family sedans on one shot! This Volga 24 is great. I love this body style and the winter tires. What doesnt belong here? 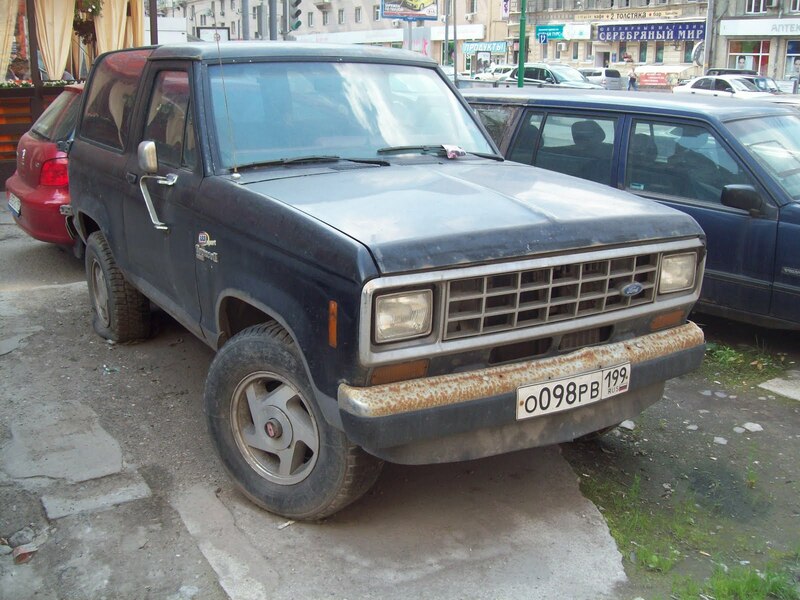 This Bronco might have come across the border just after the Iron Curtain dropped. I bet the owner was mighty proud when it was new but now it matches the condition of most of these Bronco IIs in the USA. Nice rat rodded Volga 21 in front of one of the well-known "Wedding Cake" style hotel-buildings in Moscow. This minivan type thing is the only one I saw on the whole trip. 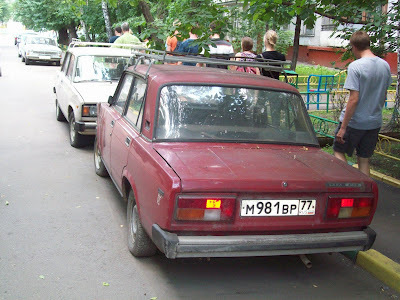 It is a Lada so it must not have been expensive. Maybe just unpopular or with a fatal flaw that made them disappear quickly. 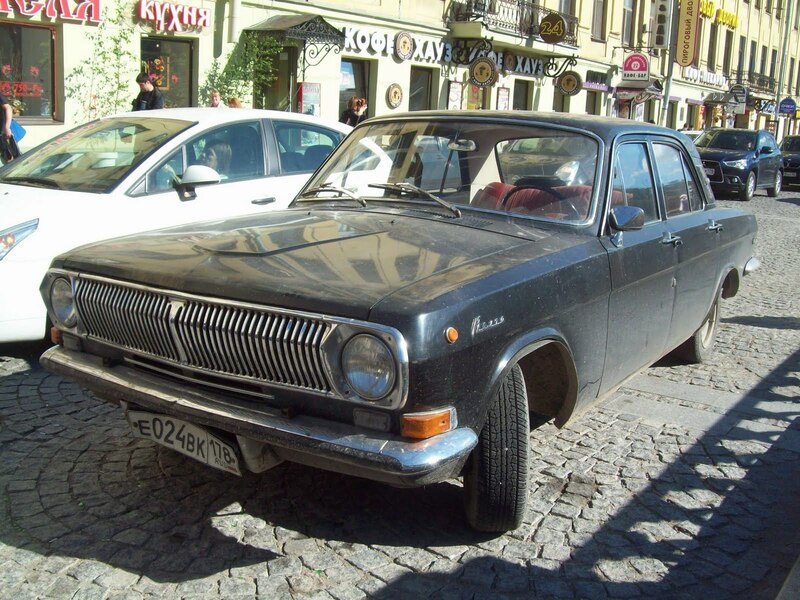 -This is a Lada 2120 Nadezhda. 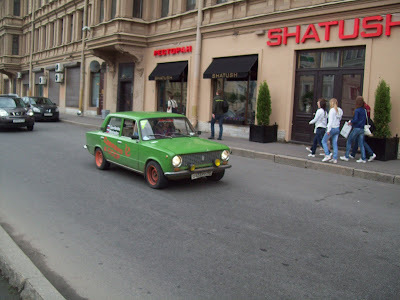 It was based on the Niva but they didn't make many at all - certainly the rarest car in these pictures! Nice little hovercraft docked near the Martime memorial. 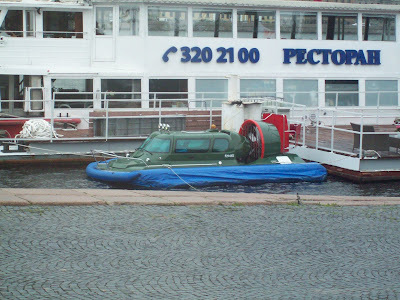 I saw it motoring away later in the week. When it hit waves, the air cushion would leak through the temporary gap and spout a little geyser into the air. It sounded pretty agricultural but I loved it. One of the first of the UAZ 469 trucks I saw. I loved these things. 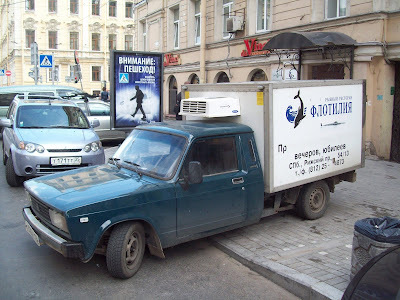 They ranged from old farm truck to modern G-Wagen substitute to military truck. Ill take a new one in black with the spare mounted on the rear gate...one of my top 3 fav Russian vehicles. Land Cruiser Prado (nee Lexus GX 470) isnt that special, but I wanted to compare the size difference between it and the 4-Door Niva. 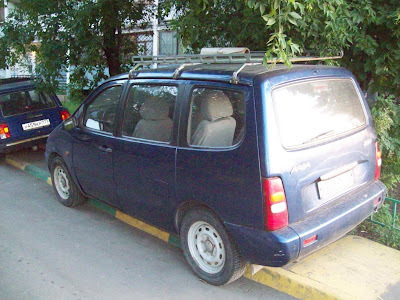 Being from Canada I remember seeing the Nivas as I was growing up but Canada never got the 4 door. I guess this is what you buy if you don't want a more truckish UAZ. 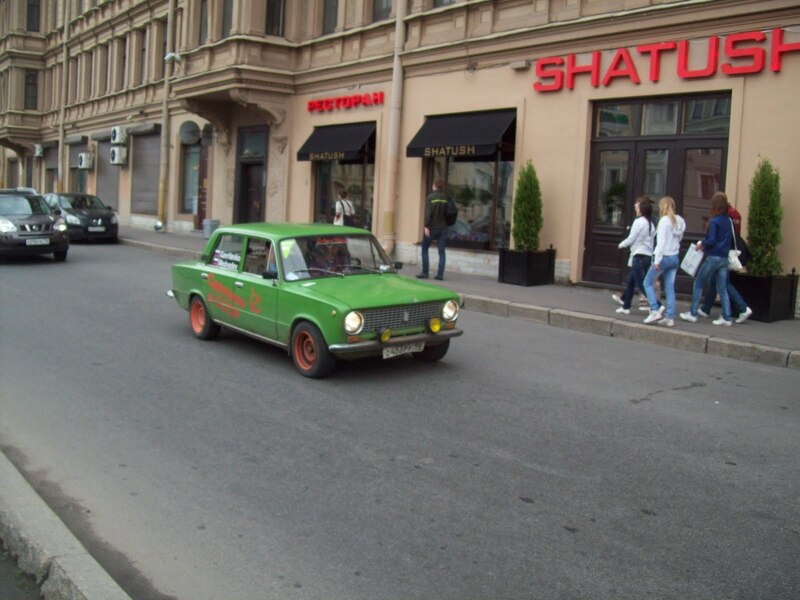 Aggressively driven Lada 2101 with some kinda decals and wide(r) wheels than stock. Sounds kinda loud and the owner put his name and flag on the rear window. Now THIS is a beater. 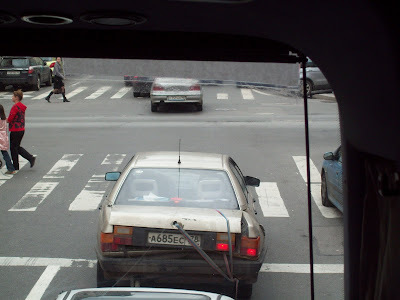 Someone was driving this Audi 5000 around as what looks like his Daily Driver. I don't know what happened to it but it looked terrible. He was in a hurry too. 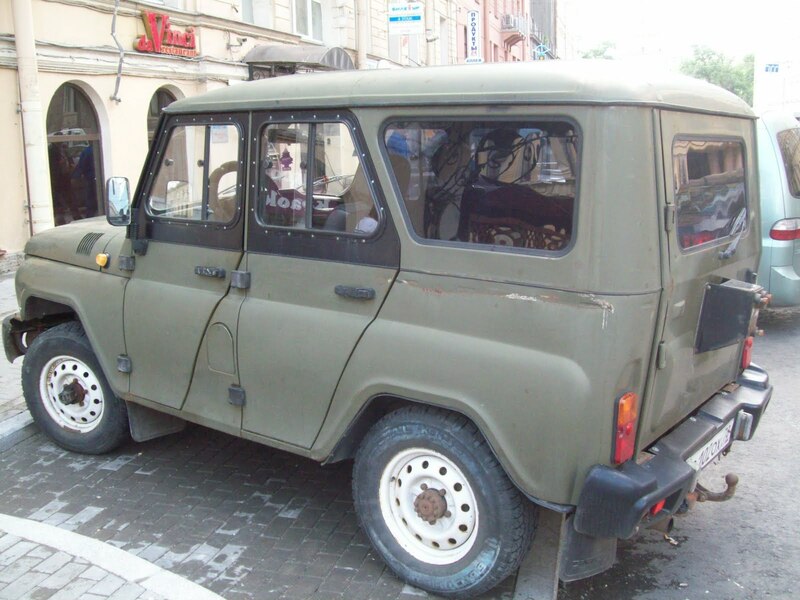 This UAZ 469 looked civilian-used but perhaps it was a former military one. Nice ride if you ever need to run down to the Home Depot on your way to your dacha for the weekend. 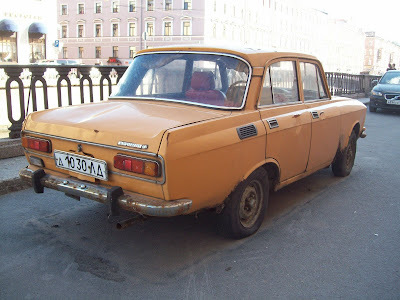 Also on my short list of desired Russian imports...the Lada Riva 1500 delivery edition! These were pretty common. 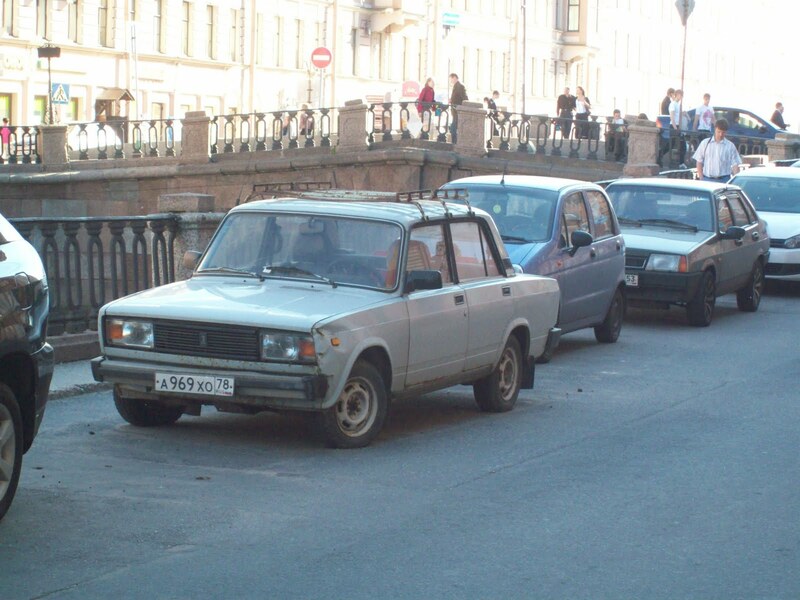 Imagine one with a steel flatbed and fake third wheel; Texas Style in a Lada package. 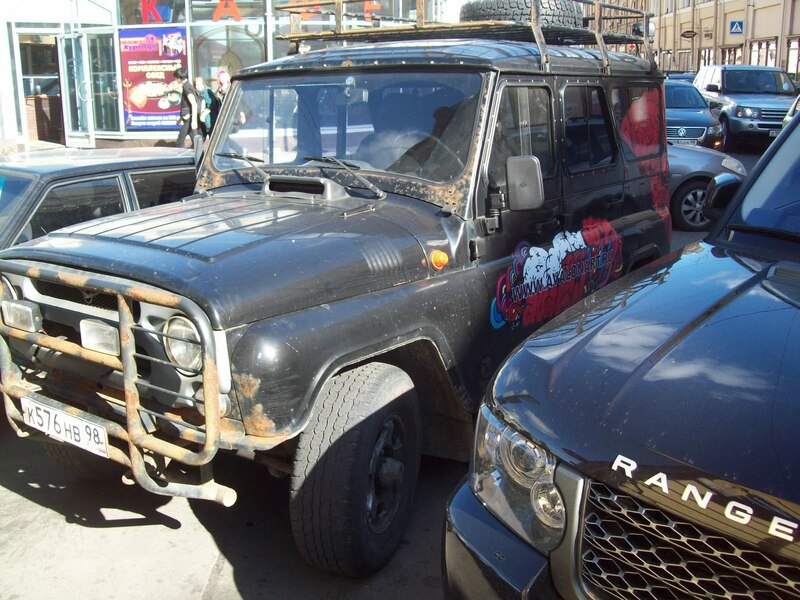 Ill take mine with a (much needed) winch for when I venture offroad to uncle Vlad's secret vodka distiller. Old Soviet era Volga 24. I think the simple lines on this are great, like a Valiant or Dart or something. 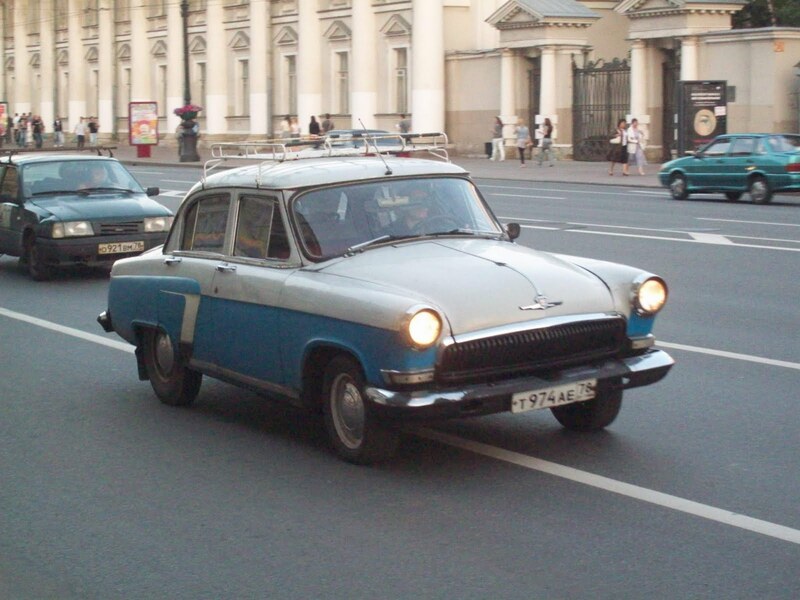 The same basic shell was sold for decades and are still used for taxis and family sedans even today. 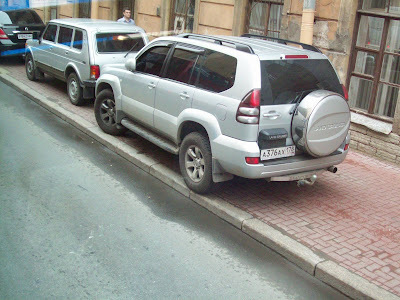 This street near the French consulate, Dutch consulate and Church of the Sacred Blood had more beaters than any other I found, including this AZLK 2138! 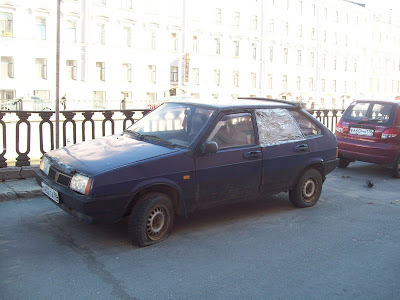 Poor old Lada Samara. 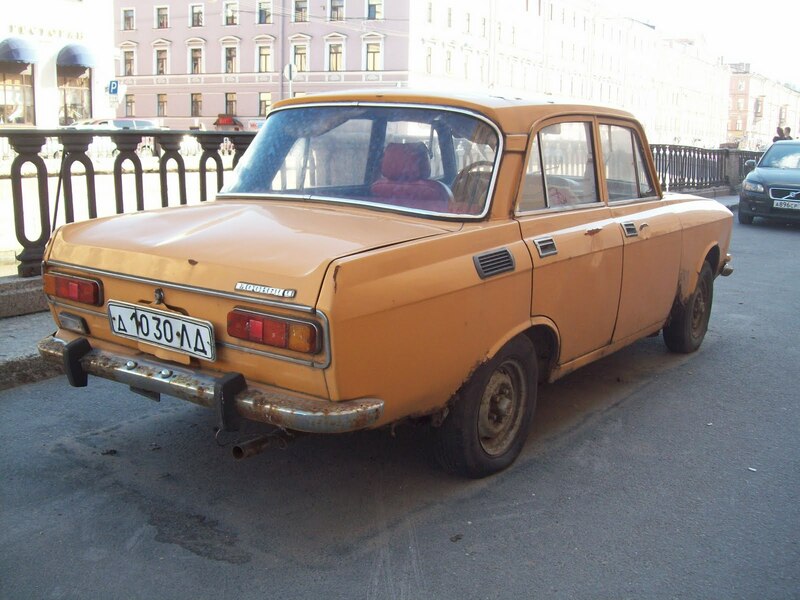 Like the orange car, it hadnt been driven in a while. 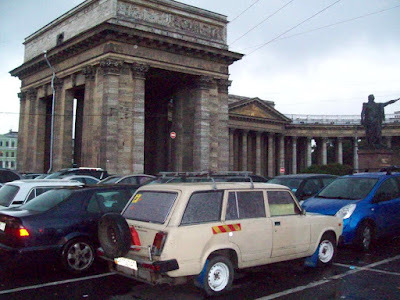 These were like Russian VW Golfs and this one was used and abused and sits around unloved. 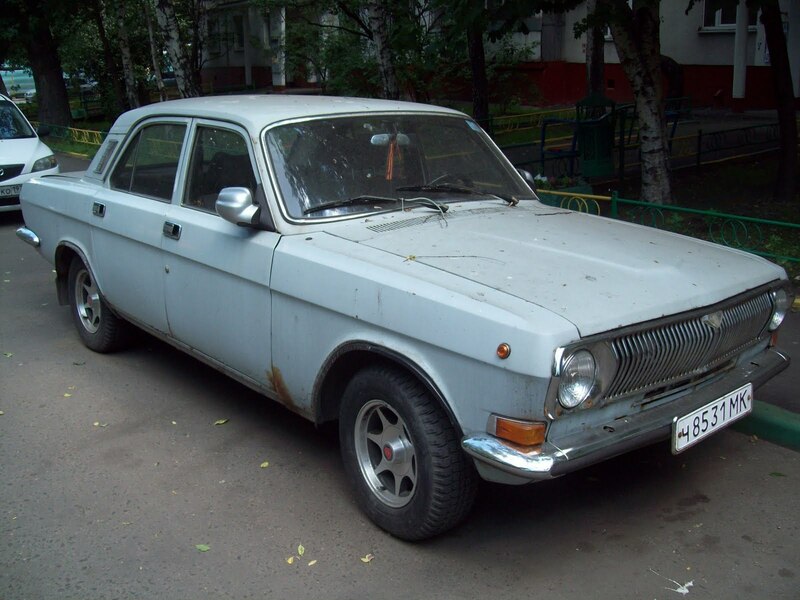 I guess, though, unloved Chevettes, Cavaliers and Citations were in this condition plenty too so you get car neglect everywhere if it is a common economy car. This Lada Riva and the Samara sedan further back were the last of the interesting Russian cars on this street. 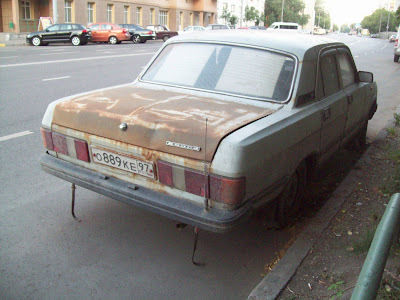 Very common roof rack application here and the Riva has not moved in a while despite 4 aired-up tires. Excellent parallel parked Moskvich 407 - the luxo version - with a factory roofrack and mudflaps! 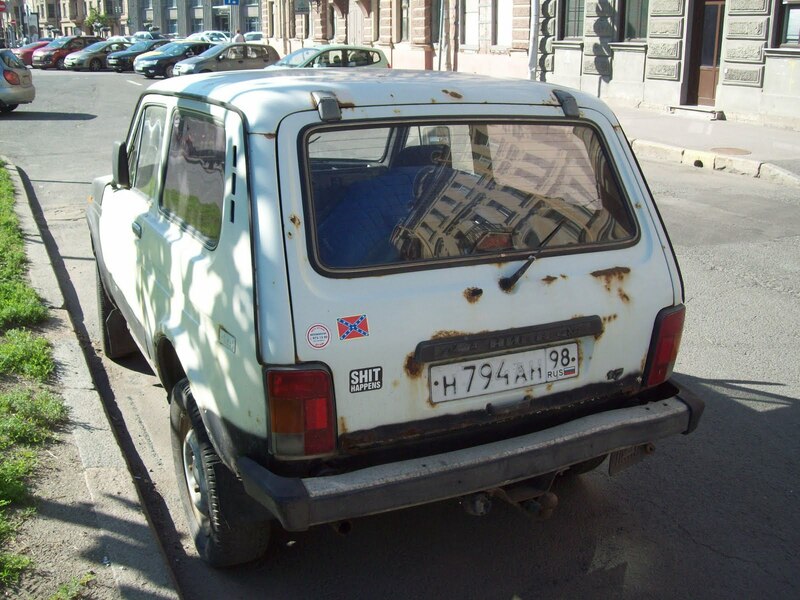 An all-but-used-up Niva reporting for duty, comrade. Rough but seemed functional. Hat tip to Jordan for the awesome pictures!